The following quotes by Bill Mollison, co-developer with David Holmgren of the central ideas of permaculture, should help to unpack the meaning of the word Permaculture. Afterall, it has come to mean so many things to so many people, it can be hard to pin down a concrete definition. There was a picture I wanted to post, but can’t seem to find in my photo collection… maybe I didn’t really take a picture; maybe the memory is just that vivid. Picture this: Two winter squash plants growing side by side, organically, in the same soil. One is pale in color, with leaves that are mottled with powdery mildew, and has but one small fruit. The other, is vigorous, with bright green leaves, and boasts several fruits that are maturing rapidly. The difference between the two is marked. I’m not making this up or speaking hypothetically. These plants were grown on a test plot at the UBC Farm, where my PDC courses were mostly held. 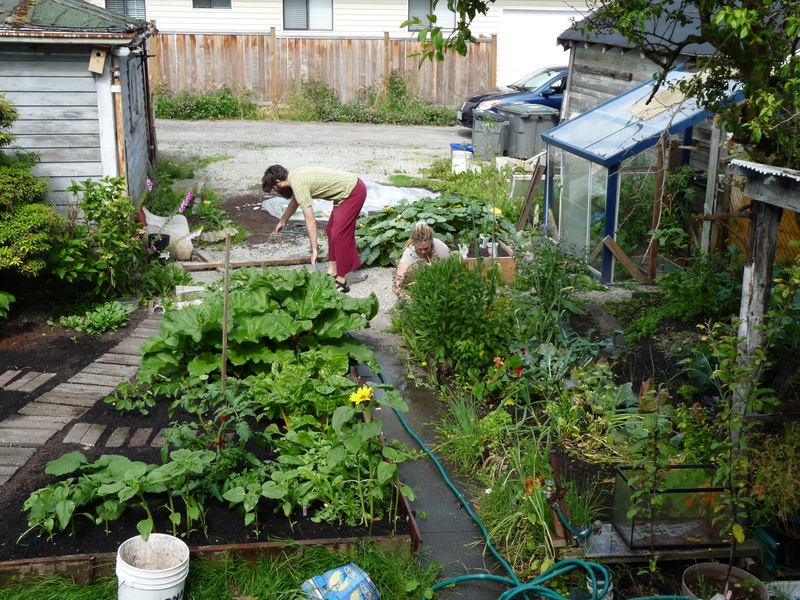 The 24-hectare teaching farm is right by the coast, where conditions can be very cool and damp (yes, even in Vancouver, there are varying degrees of wet). Besides sun, water, and NPK, some of the most popular garden veggies really prefer warm weather–squash, melons, tomatoes, peppers, eggplant, basil, and corn (to name quite a few) really do best with some heat. I hope the next time I grow corn, it turns out better than this. 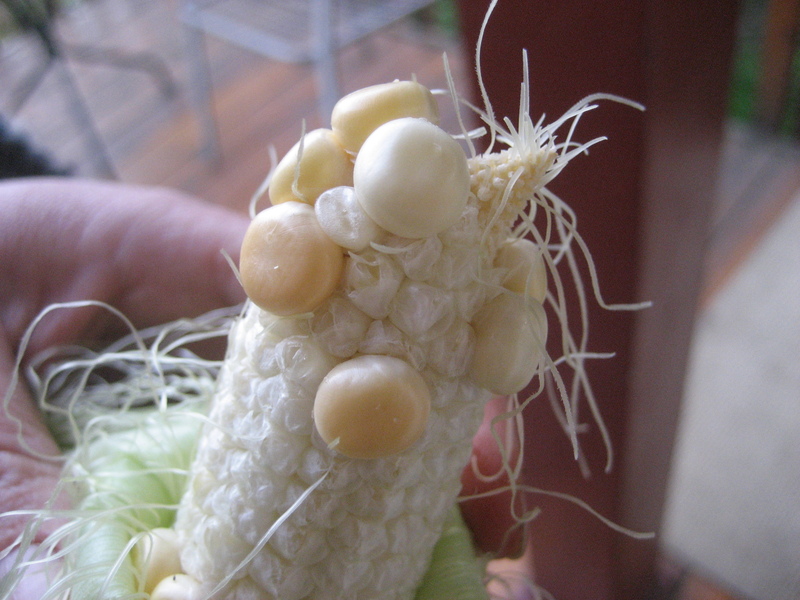 Obviously, it wasn't fully pollinated--a problem with growing too little corn for good pollen dispersal by wind. In the squash example, the first one was planted in freshly-dug garden soil with a healthy dose of finished compost to get it started. 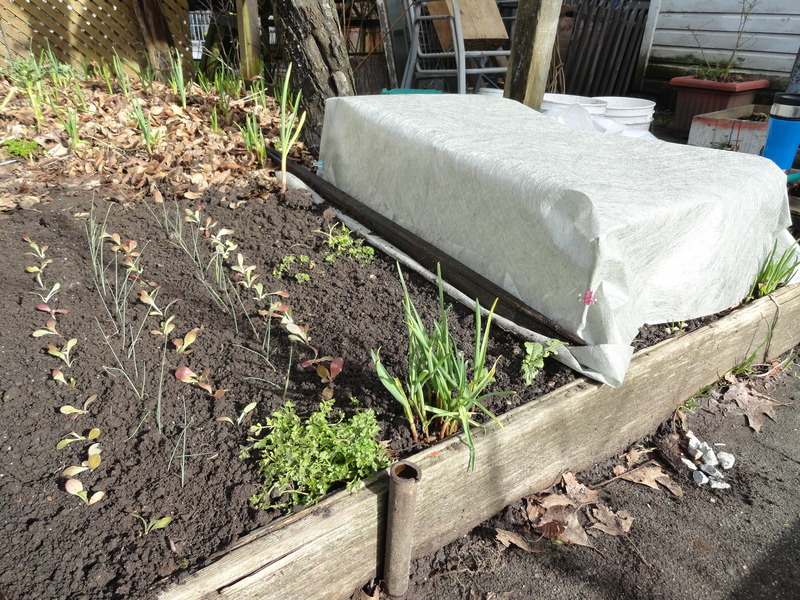 The other one, the vigorous grower, was planted on a mound of unfinished compost and soil, then covered with a tarp for moisture retention and insulation. 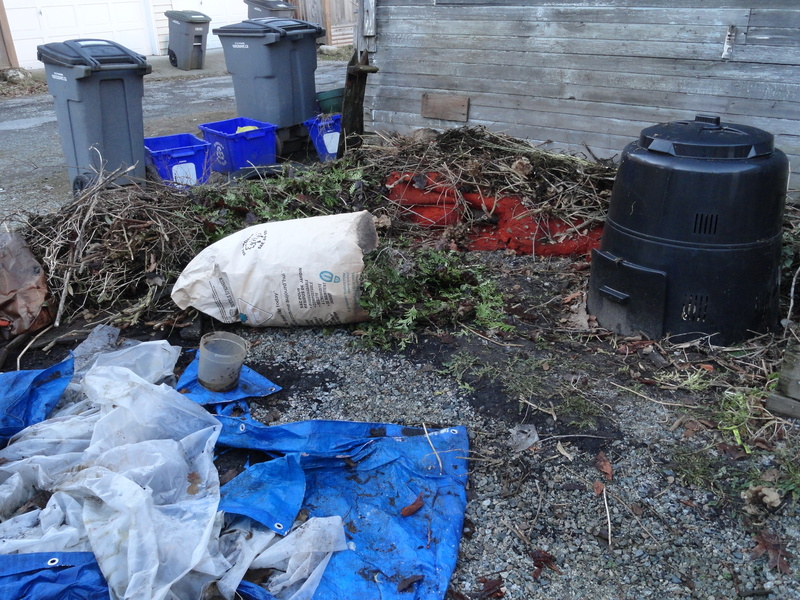 That the plant was raised a bit above the level of the surrounding garden, caused cool, damp night air to settle away from the plant on the mound, so it was less susceptible to fungi and molds. 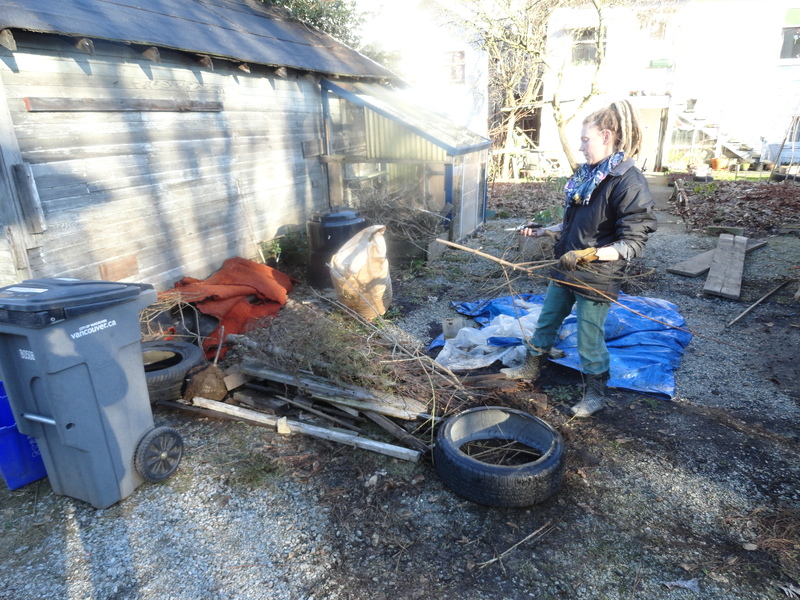 And, the heat created by the compost continuing to break down kept the plant’s roots several degrees warmer than the outside air temperature. When a plant is referred to as being “heat-loving,” it doesn’t necessarily mean that it has to be grown in a hot climate or greenhouse where the air temperature is high; heating the plant’s roots can be enough to boost growth. 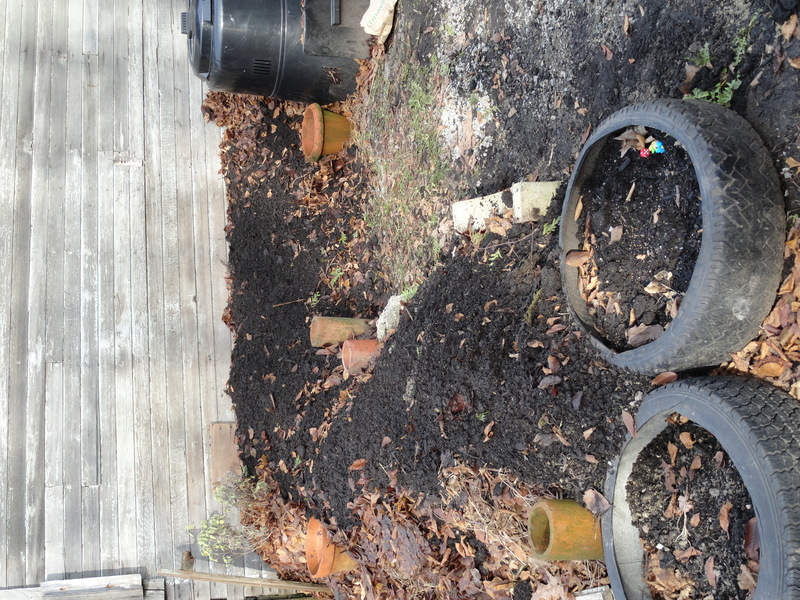 I failed to mention in my last post, Hugel What?, that heat is one of the main reasons for building raised garden beds in the hugelkultur style: heat from rotting wood, lawn trimmings, and compost at the center can give a boost to plants growing on the mound. Other ideas for creating a warm micorclimate: using black plastic or landscape fabric as “mulch” between plants because black absorbs and traps heat; use gravel and rocks in your garden design because they store heat and release it back slowly as the surrounding air cools at night; use pools of water or water-collection barrels for the same reason (heat-storage); position heat-loving plants against a south facing wall that will reflect light and heat during the day; if you’re container gardening, place plants on pavement and asphalt surfaces to reflect and store heat.